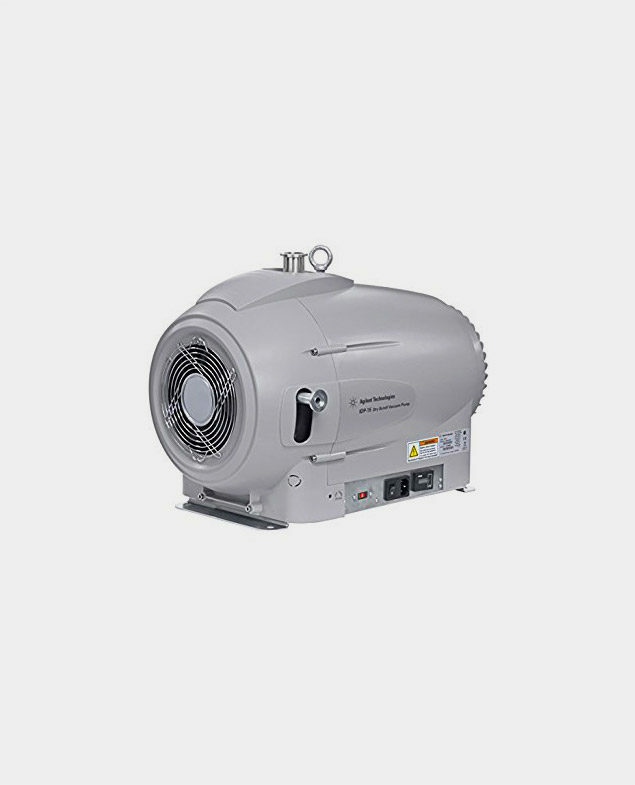 The Agilent IDP-15 Scroll Pump is a high performance dry primary vacuum pump, providing rapid pump-down. 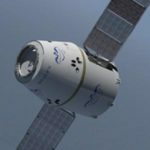 With a single-sided scroll design, it offers fast, easy yearly maintenance and low cost of ownership. It is hermetic, with the motor and all bearings completely isolated from the vacuum path and protected from process gases for extended life. 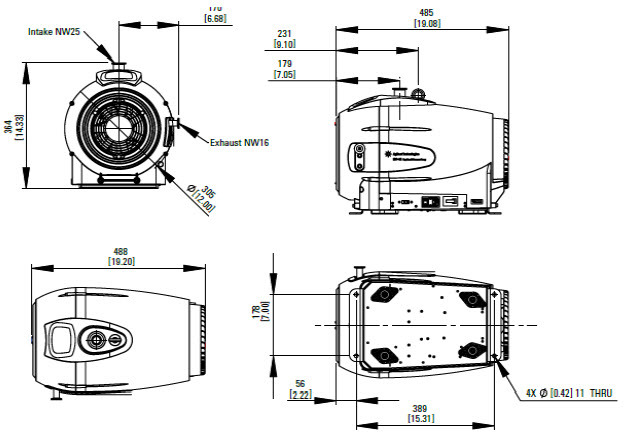 The IDP-15 is exceptionally quiet (<50db) and vibration-free. Air Cooled. Provided with Inlet Isolation Valve. X3815-64010. 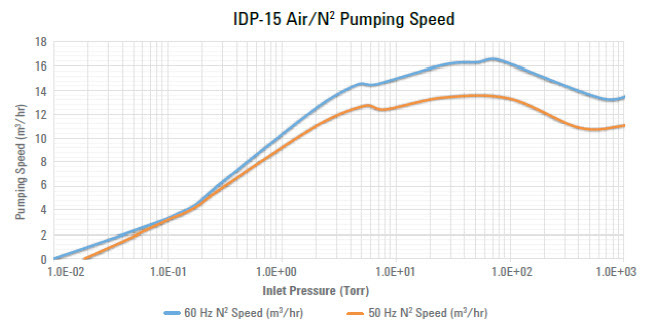 The new Agilent IDP-15 Dry Scroll Vacuum pump is designed for extremely quiet (<50 dBA) and low vibration operation, delivering a peak Pumping Speed of 15.4 m3/h at 60Hz; 12.8 m3/h at 50Hz. The hermetic design with the vacuum space completely isolated from the motor and bearings provides a clean gas path through the pump, which eliminates any risk of oil or grease contamination. Provided with Inlet Isolation Valve. X3815-64010.